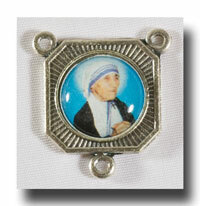 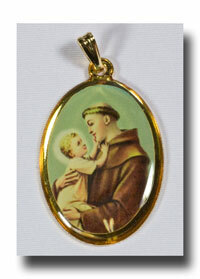 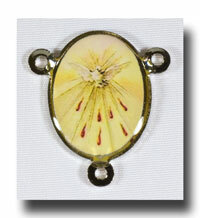 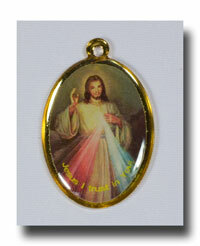 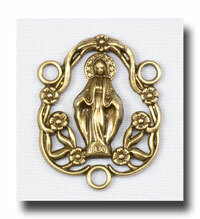 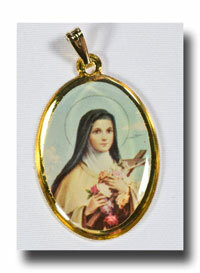 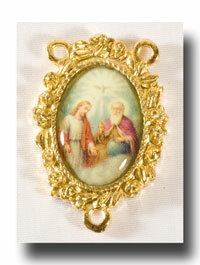 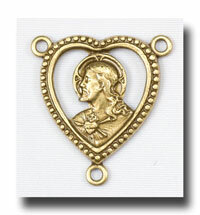 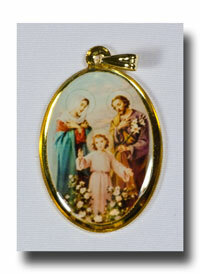 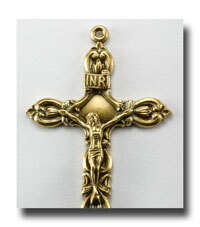 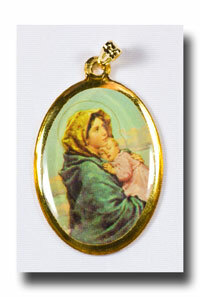 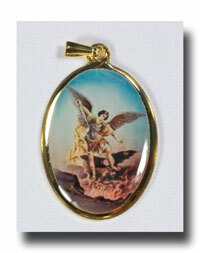 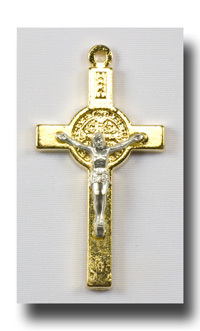 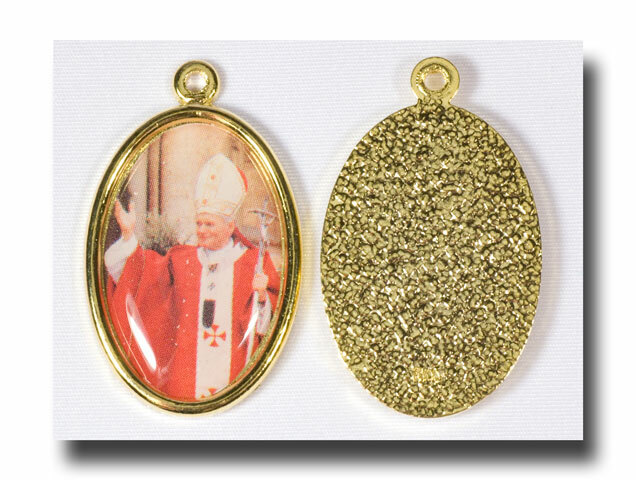 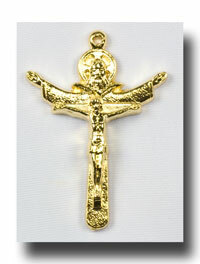 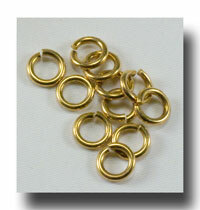 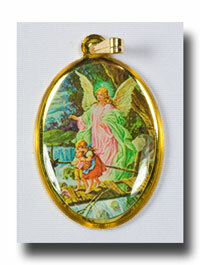 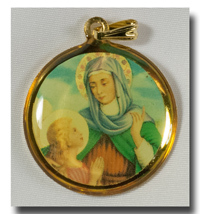 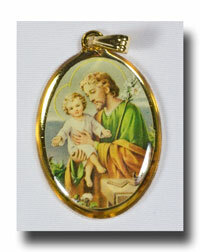 1 inch full colour picture medals set on a gilt or gold-tone lead free backing. 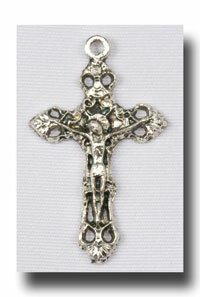 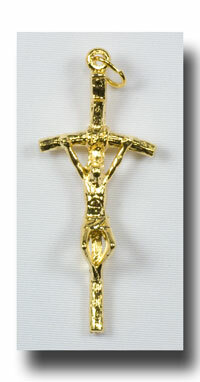 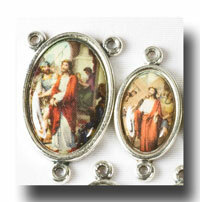 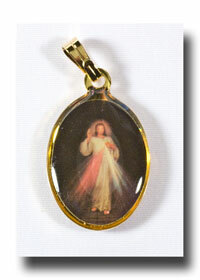 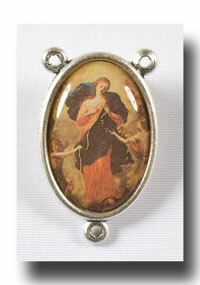 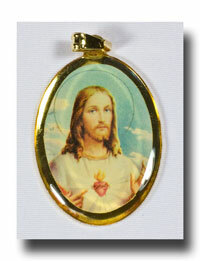 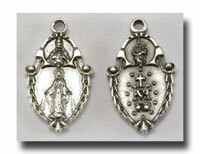 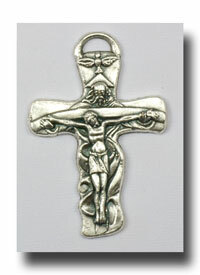 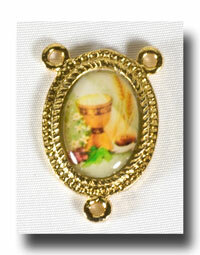 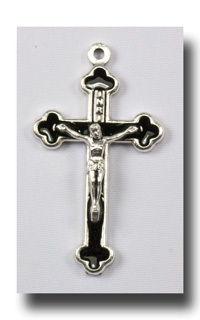 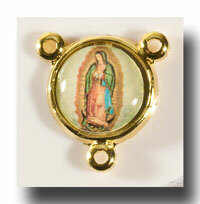 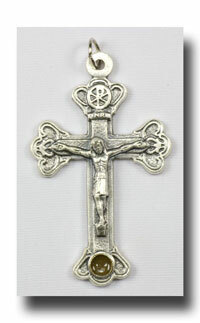 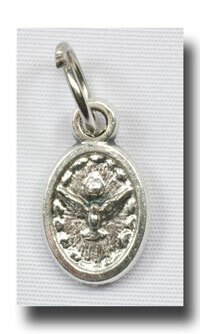 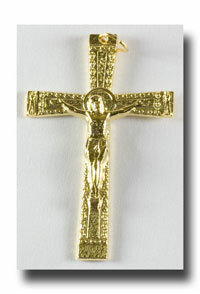 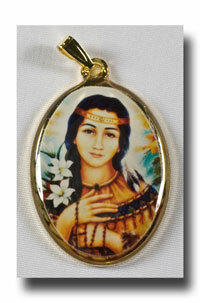 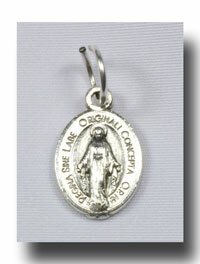 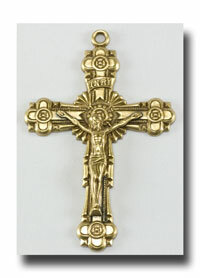 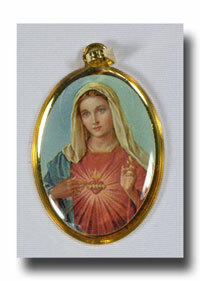 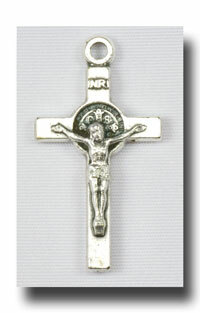 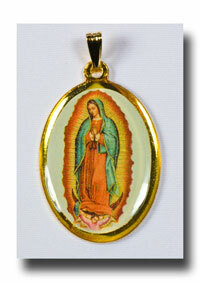 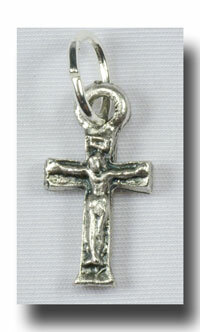 Single hole at the top which makes it perfect for chaplets or to wear. 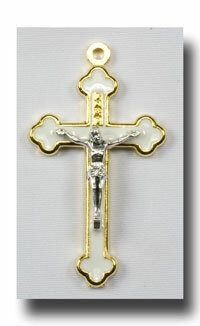 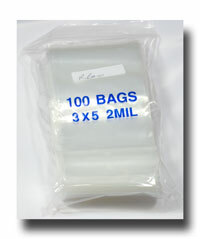 This is the only one that has a light-weight plastic backing/frame.